It’s a small world, after all. The child-like anthem comes to mind as you see all the Massachusetts, Vermont, Maine and other New England license plates in and around the parks of Walt Disney World in Orlando, Florida. A fantastical remedy for winter-weathered senses, the parks of Disney also offer reassurance to adults who thought the kid within had gone for good. Far from it. That first glimpse of the Magic Kingdom’s iconic Cinderella Castle or the silvery Spaceship Earth dome of EPCOT Center sets the heart racing at a pre-adolescent pace. Cynics should be warned: Disney World, like Las Vegas, is not to be approached with too much seriousness and needs to be taken on its own terms. It simply is what it is. Except for a handful of exhibitions within the more adult-oriented EPCOT, the watchword is fantasy. If the stand-ins for European and Asian streets fail the authenticity test, they nonetheless take you to someplace beyond the everyday. Anyone who’s not interested in such a destination probably shouldn’t follow the freeway signs to Disney in the first place. Those who do might begin with the Magic Kingdom. Riding the Tomorrowland Transit Authority People Mover will ease you into a day of amusement-park rides, theater seats and spaces at once indoors and out. The People Mover loops about the park, affording tableau below of high-spirited families scurrying to the days first stops. Watching the “drivers” on the Tomorrowland Speedway race one another on secure tracks brings a burst of vicarious enjoyment repeated dozens of times throughout the day. Nostalgia trips don’t get much better than a turn in Walt Disney’s Carousel of Progress. Even if you’ve visited this park staple decades ago, its set pieces—“peopled” by robots only a company trafficking in disbelief could deploy—are worth another viewing. A hit at the 1964 New York World’s Fair, this overview of home technology over the past century powerfully shows just how far we’ve come from ice boxes and outdoor plumbing. The Magic Kingdom’s Main Street, with the towers of that beloved castle in the background, is a thoroughfare of surprises. Parades, singers and Goofy, Donald or other signature characters might appear out of nowhere at any moment. They’ll take your eyes off the Old West-style shops from whose doors waft the scents of cotton candy and chocolate. And if you can’t find just the right match for everyone on your souvenir list, well, you’re just not fit to call yourself a shopper. 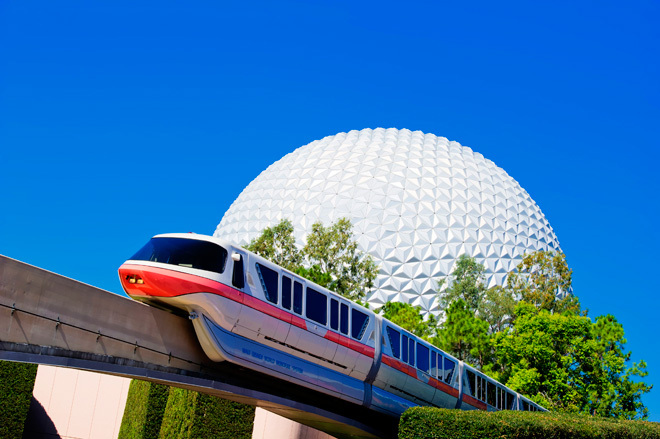 Zipping over to EPCOT Center via the monorail will remind Bostonians and other New Englanders of subway and train commuting back home. As it skirts parking lots and minces through trees, it makes the vastness of Disney’s Orlando-area enterprises that much more manageable. Having covered EPCOT’s opening day in 1982, I was reassured to see how much had stayed the same. This was most evident in its re-creations of street scenes from world capitals. 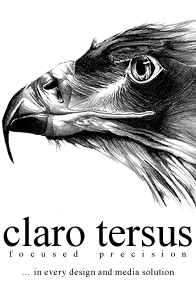 I thought now, as I did then, that the replications are easy targets for seasoned world travelers. Yet the more I walked through these “countries,” the more I thought about how they might whet the appetite of some young person from rural Massachusetts or the mountains of Vermont who’s never been out of the U.S. And, frankly, the bistro in “Paris” looked damn genuine (although my crepes weren’t done as exactingly as they’d be on the Left Bank). EPCOT’s exhibitions include such relative newcomers as the interactive Innovations. But I was delighted to once again take a ride through The Land. In perhaps the most educational of this park’s offerings, the amphibious vehicles float through a working laboratory where plants are grown and analyzed with university-level attention. The voice of an unseen guide explains how the “smart” growth of various vegetables in nearly touching distance can help fight hunger in various places around the world. 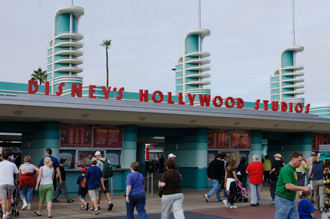 For something out of this world, there are the attractions of Disney’s Hollywood Studios. I was jaded like a lot of other adults when I fastened my seatbelt for Star Tours. This simulated ride through space literally took my breath away. I couldn’t take my eyes—covered in 3-D glasses—off the stars and other offerings of the cosmos as we moved at what felt like warp speed. I held tight to my arm rests, even though in reality, we stayed in place. There were a few well-timed rolls beneath us that added further realism to this simulation. I was sorry when it was over and almost got back in line for a second voyage. But Hollywood Studios have so much more to offer. “Sesame Street” fans will want to make time for the “Muppet Vision 3D.” This all-in-good-fun show in a theater worthy of Broadway features the favorites of the popular kids’ show, including Miss Piggy and Elmo. If something frightening is more to your liking, there’s The Twilight Zone Tower of Terror. It features a “haunted elevator” that courses the forbidding-looking Hollywood Tower Hotel. How scary is it? Park guests for blocks around could regularly hear the screams and squeals of elevator passengers treated to yet another horror. Hollywood Studios’ painstaking recreations of city streets bring to mind parts of Back Bay. And in one particularly effective illusion, there in the distance rises a swath of San Francisco, complete with a convincing Golden Gate Bridge. For a taste of Hollywood’s heyday, lunching at the Brown Derby—overflowing with celebrity memorabilia and ghosts of the film industry’s past—will call to mind the legendary star eatery. We capped off the day with a stroll through the undulating thoroughfare of Downtown Disney. With a Planet Hollywood, neon flashing nearly everywhere, music pouring out of the plentiful bars and restaurants, it throbs with Las Vegas-style heat. Even though it’s kid-friendly, it’s also just the sort of place for parents to be adults after long days of accommodating 7-year-old attention spans. A second day would have allowed us time for Disney’s Animal Kingdom and revisiting the parks we squeezed into one ten-hour stretch. It’s easy to see why families set aside several days or even an entire week to take in all Walt Disney World has to offer. And it’s why on the flight back to Boston, I thought about everything I’d see on my next trip to Mickey and Minnie’s homeland. 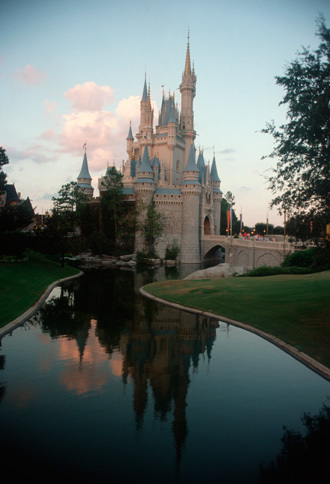 All photographs accompanying this article appear with kind permission of Walt Disney World.